At the age of five, this writer received the gift of gifts: a police-issue Bigwheel with a megaphone and a working siren. After a week or two of patrolling the sidewalk for a week like I owned the block, my best friend busted out of the garage with the one thing that could trump my three-wheeled interceptor; the Green Machine. 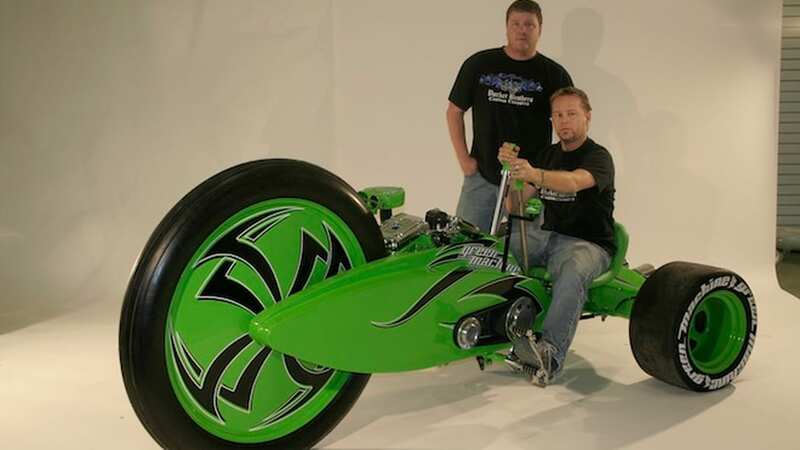 Sure, my Bigwheel may have been faster in a straight line, but he could drift, spin out and even parallel park at five miles per hour. 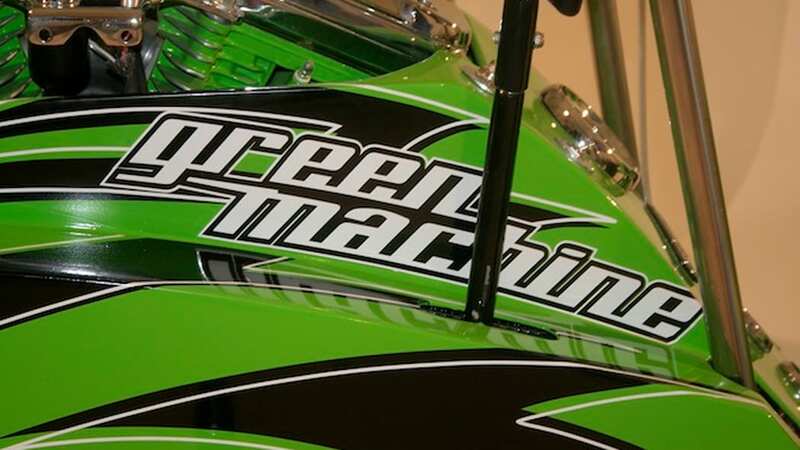 I'm guessing I'm not the only one who has been green with Green Machine envy, and luckily we can get even as adults. 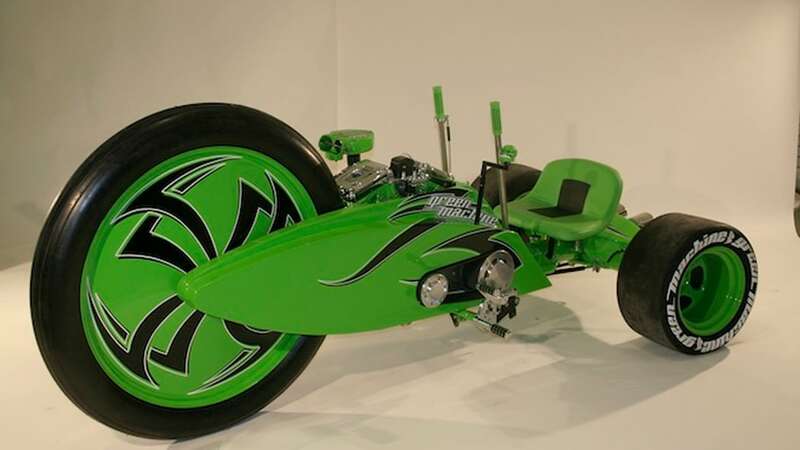 The geniuses at Parker Brothers Choppers decided to make a Green Machine for really big kids, complete with an 80-cubic inch Harley Davidson Evo engine. 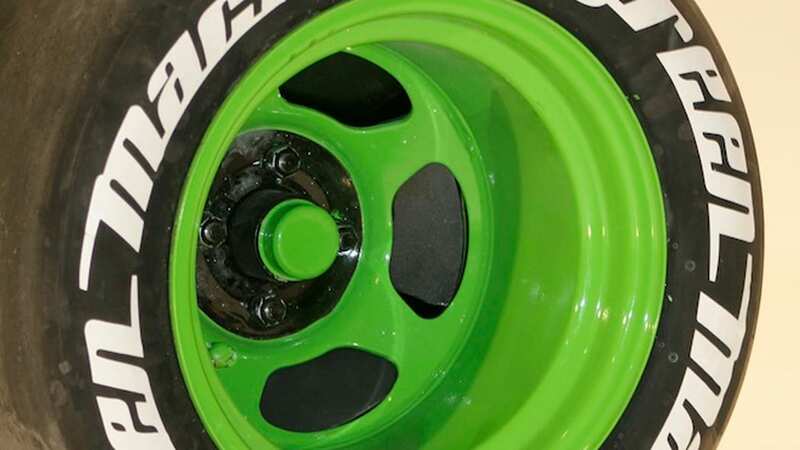 What, you wouldn't expect us to actually pedal a Bigwheel with a 45-inch front wheel, would you? Even better, it's still steered by a pair of levers that control the rear wheels, so all the tricks your evil nemesis friend did as a kid can now be done by you at 30 miles per hour. Heck, Jeff Halverson at Parker Brothers claims to have done 50 mph on the beast, so someone without a lot of fear can really do some damage on this thing. Unfortunately, the whole steering-via-the-rear-wheels thing would make it really difficult for this trike to gain approval from the Department of Transportation, so don't expect to put an order in for one of these any time soon. Hit the gallery below to dream a little dream.